Ensuring re-visit of clients in salons and spas across the country, Kolkata-based Loyalie has conceptualised a unique business model under which the vendors will pay an annual subscription to bag repeat business. Improved income levels and shift in buying patterns of price sensitive Indian consumers often affect salon and spa business and led them lose their loyal clients. To beat this common problem with a sure shot solution on place, a Kolkata-based startup, Loyalie has conceptualized a new way of ensuring re-visit in salons and spas. 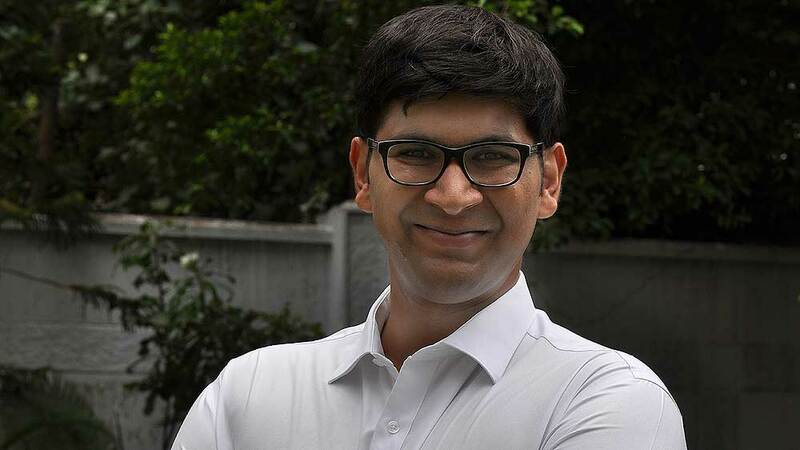 Brainchild of Akhil Saraf, who ditched his strong background of Tax Consultancy industry to start this much lucrative yet innovative venture, not just to serve wellness industry, but to various other business spaces like restaurants, to name a few. The venture was conceptualised by Saraf, following his personal experience, narrates he. “Once I was out of town for few months, and when I returned, I was surprised to see that a salon I used to regularly visit, their staff was unable to recognise me due to staff reshuffle. This is when I realized that when everyone is focusing on customer acquisition, no one focuses on customer retention. Loyal customers are neglected and ignored completely,” shared the Loyalie founder. The company is completely bootstrapped. When I was 18, I had my life savings of hand me downs from relatives. I started investing that in stock markets and was getting good returns out of it. When my father noticed this, he encouraged me to take a loan from him and pushed me to think bigger and excel. I spent 3-4 hours every night researching stocks to invest in and eventually, there came a day when my booked profits exceeded my investment value i.e. my loan was fully repaid. I paid a 7 digit income tax amount on earnings when I was 20 years old. Similarly, when I conceptualized Loyalie, I believed the returns from Loyalie would far exceed my return from the stock markets and I exited over time from the markets. I believe Unified Payments Interface (UPI) will be a game changing development in the payment industry. I would only be able to comment on this after the concept of UPI is fully deployed and is set against mobile wallets in the country. The biggest challenge faced by Indian Wellness Industry is lack of prominent search and discovery engine. In fact, the challenge here was one time searches predominantly. Once a customer likes a particular spa/ salon, they usually stick to it. We are targeting that purchase pattern that once someone has found a place, he remains there and doesn’t consider shifting. We want the spas or salons to be able to sell and cross their sale. Our pure play stamp system is not there with any major player in the country. There are a lot of pure point systems of loyalty, a hybrid of the system but it is important to have a pure stamp system as this is the easiest thing a consumer can understand. Come twice get a reward on the next visit, come x number of times after that, get another reward. These incentives force the users to come back again and again. We have a system in place for physical outlets to get repeat business. We only charge the vendors an annual subscription. Till now, the concept of Loyalie has received very good response with spas and salons. We have three national chains with us- Aroma Thai Spa, O2 Spa, and IOSIS Wellness of Kiran Bawa and Shilpa Shetty Kundra. Currently, since we are bootstrapped, it was easier for me to set up operations in two cities- Kolkata. We are not averse to starting the program in other cities. However, being a young organization, we were keener to set up in cities where we have home field advantage. We don’t plan on increasing our subscription revenue other than sales itself, we however have newer products coming out where we have kept the loyal customer in mind which benefits businesses greatly. We invested heavily in building a solid product for the future. Our app has been developed by a company called Focaloid Technologies, which deals with client’s size of Deloitte, IBM, Axis Mutual Fund, HCL etc. Our IOS app has been developed in the Swift Programming language from the very beginning, which is something Tim Cook came to promote in India recently. We are always adding more dynamic features to the app. It’s not only eCommerce, faster GDP growth also leads to higher disposable income. When the economy is good, the demand for entertainment and wellness products shoot up. Given that the industry has perfect competition, the demand will result in more places and more opportunities for the professionals. A new product is in the pipeline which is going to revolutionize the entire loyalty space. Recently, an article came out about us where we were categorized as Loyalty 2.0, we would like to inform that Loyalty 3.0 is already on the way. All I can say is that we are present in Kolkata and Bengaluru and are planning to expand even faster.